With the Las Vegas Open just a few weeks away I have been adding the last parts to the Corrupted Ad Mech project that I want to take to the Narrative Event. 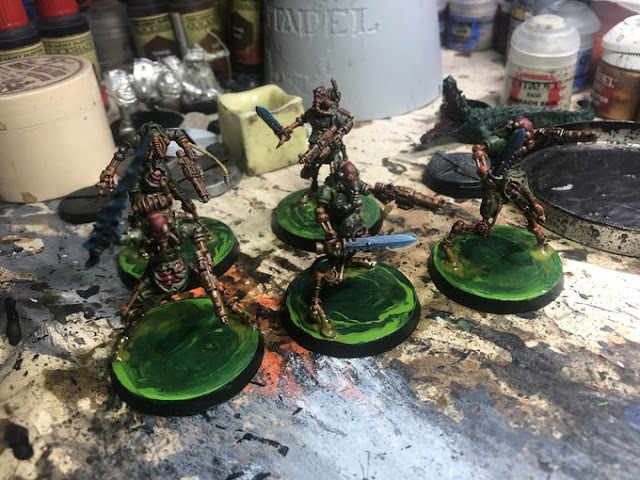 This weekend that meant converting some Ruststalkers to Nurgle! 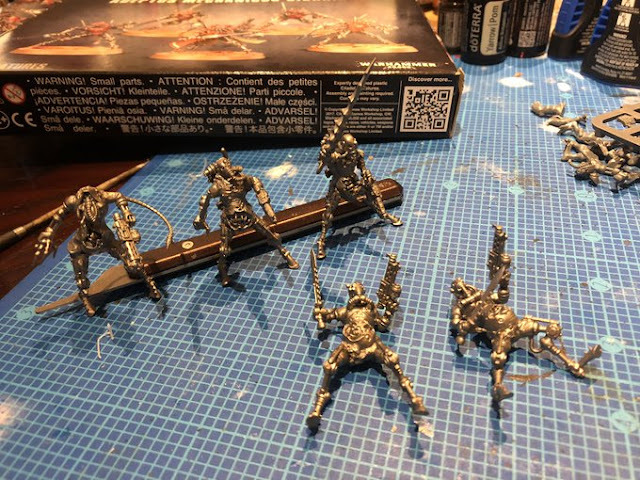 The conversions on these involved pulling apart a bunch of plaguebearers and removing their legs. I then combined them with the Ruststalker pieces. The color scheme is very set by now, lots of rust and rot! Happy to add another strong melee option for the army lists for the LVO event!